Time to add a new outfit to the closet! Our latest “Let’s Play Dolls” group of pre-printed fabric panels for 18″ dolls and matching prints has arrived. 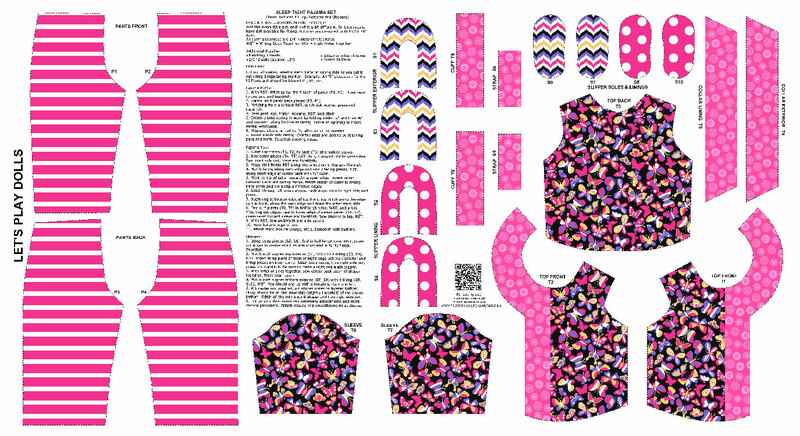 Pre-Printed Pajama Panel for 18″ dolls. Just cut and sew! The latest installation of the “Let’s Play Dolls” series includes a pair of adorable pajamas (with matching slippers!) on one panel and a doll-sized cheater quilt and pillows on the other. 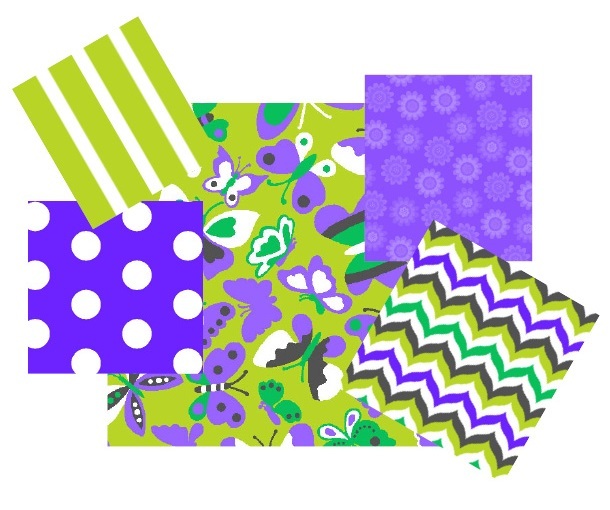 Both panels are available in 2 colorways that little girls are sure to love- pink/purple and lime/purple. All you have to do is cut and sew using the instructions printed right on the panel. Get stuck? Don’t worry we have step by step illustrated tutorials on our website ready to help you. There is even a QR code printed right on the panel to take you there using your smart phone or tablet! The prints shown on the panels have been scaled down to be the perfect size for 18″ dolls. Each print is also available as running yardage so that you can make a matching pair of pajamas and quilt for your 18″ doll enthusiast. Be sure to check out our matching patterns at your local quilt shop or on our website. 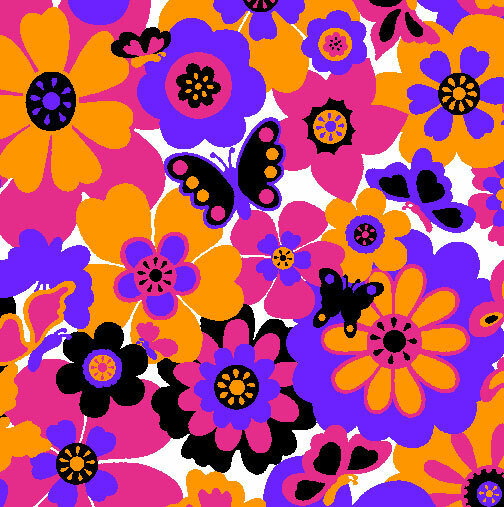 Coordinating prints sized for little girls. 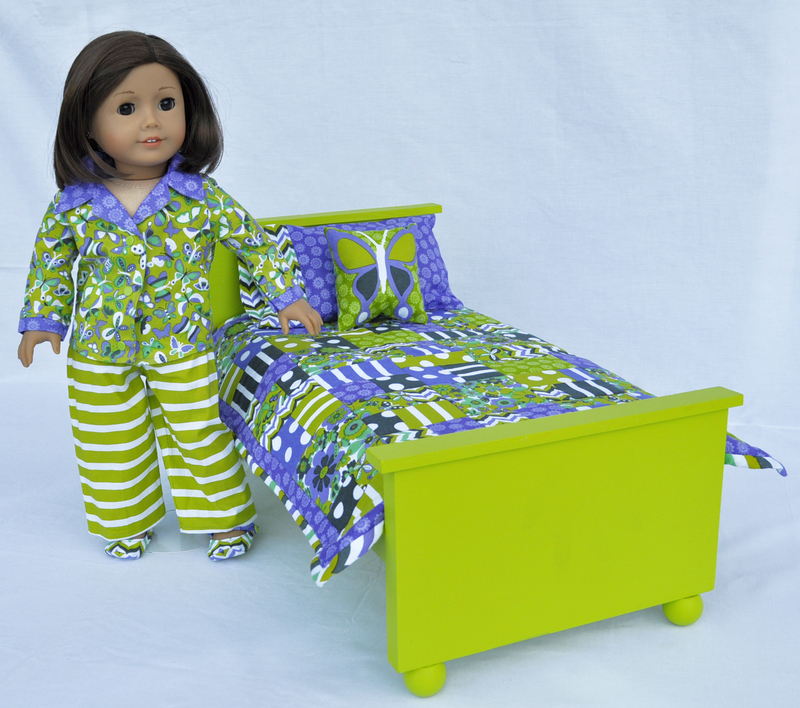 Complete the look with matching PJ’s, Quilt and Bed! Can’t choose which colorway? Why not both! 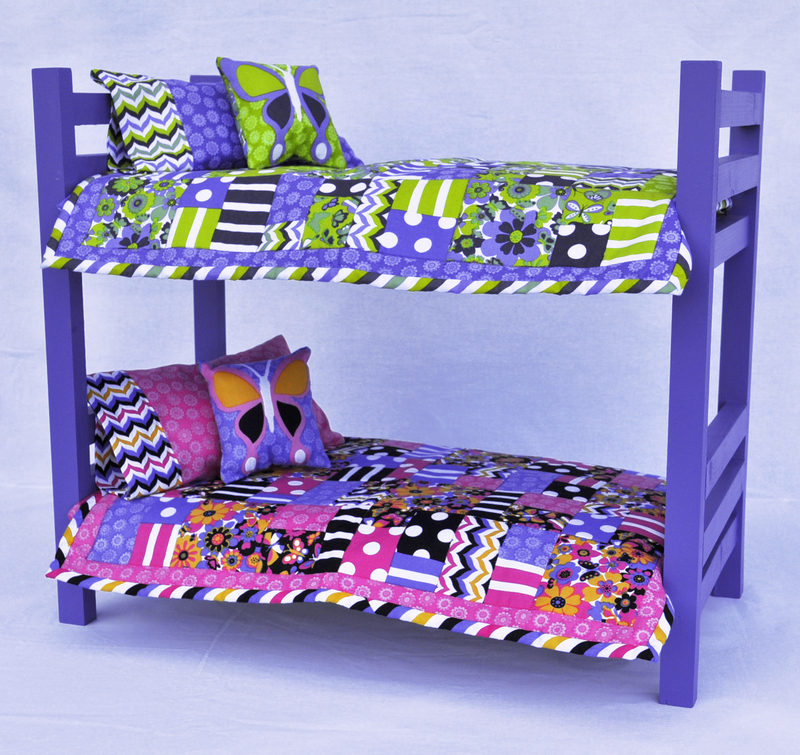 We painted our adorable bunk bed purple to match both quilt panels- check out how cute they turned out. Bunk bed decked out in both Quilt Panels. Be sure to check out all of the Let’s Play Dolls fabrics and patterns during your next trip to your local quilt shop or visit us online HERE. We are so excited to announce that our latest fabric collection is now available at your local quilt shop! 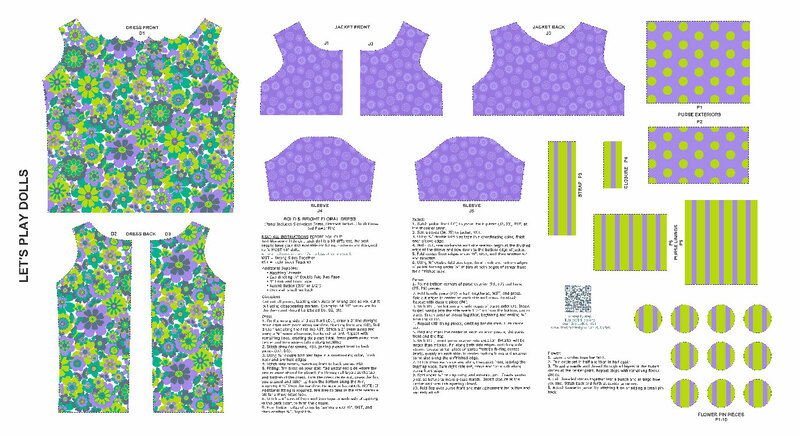 “Let’s Play Dolls” isn’t your typical fabric collection- it includes Pre-Printed panels to make 18″ doll clothes. All you have to do is cut and sew! Floral dress panel in the purple/green color way. Just cut & sew! In this first collection, there are 2 different outfit panels- one for a fun, floral dress with matching clutch and the other for an adorable, top and pants outfit with matching shoulder bag. Each outfit is available in 2 color ways, pink/orange and purple/green. The rest of the fabrics included in the “Let’s Play Dolls” collection are each of the prints included on the panels. The prints have been scaled larger so that you can make matching outfits for your 18″ doll enthusiast. 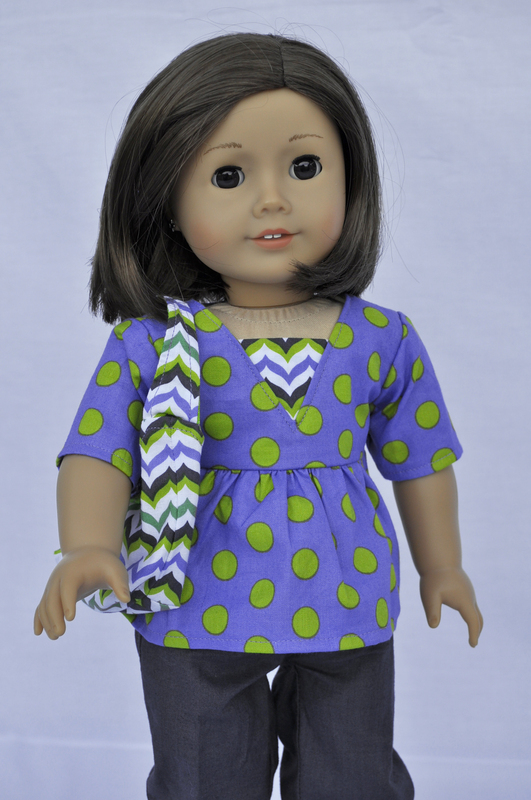 Girls love to dress up just like thier doll and this is the perfect fabric collection to do it. Oh and did we mention that we have the matching patterns available for Girls sizes 7-14 so they can match exactly! Too Cute! Completed Play Outift in purple/green. New Let’s Play Dolls- Let’s Party! Get ready to Hang it Up!